Dr. Taira Stuart is an experienced globalization expert with a 19+ years of proven results in facilitating international projects for agencies such as NASA, U.S. Congress, U.S. Air Force, Department of Defense as well as aerospace giants like Lockheed Martin, Ball Aerospace, and Orbital Science. facilitate a turn-around of a $500+ million project by helping to secure presidential approvals and organizing congressional hearings. co-develop program documentation that would subsequently be used by the International Space Station. assist in taking a yearly budget from $1 million to $50+ million in less than 5 years. As a cultural expert Dr. Koybaeva worked with various international agencies such as the Canadian Ministry of Foreign Affairs, the Norwegian Embassy in the United States, The Russian Federation, Ukrainian and Tajik Governments. 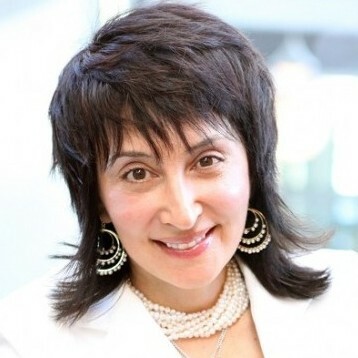 While applying her international expertise practically, Dr. Koybaeva was simultaneously developing a system for turning companies into global players through her research and work as a professor at Utah State University and fellow at MIT. Find out more about Dr. Taira at http://goglobalfast.com.